Experiencing the changing seasons in the quaint, astrology-themed 4 Seasons slot from Betsoft Gaming, players can enjoy a wealth of unique features, generous symbols and breathtaking graphics. This high-quality video slot delivers a compelling experience across 5 reels and 30 paylines, with a beautiful design and multilayered gameplay. 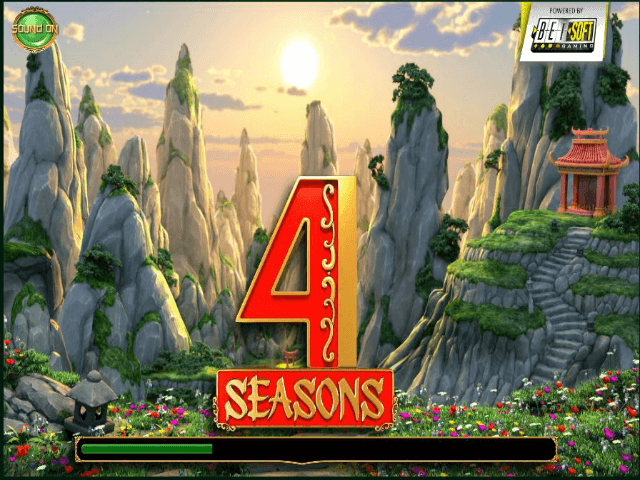 The 4 Seasons video slot is themed around the Chinese Zodiac and boasts some exciting bonus features that can be enjoyed all year round. 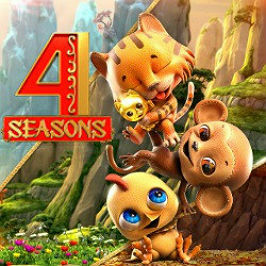 Read more about this Asian adventure in our guide to Betsoft’s 4 Seasons slot! Casino at bet365 - Up to $200 New Player Bonus! New Casino customers only. Deposit min. $20. Applies to first deposit to Casino only. Max. bonus $200. 15x wagering (game weighting applies) on deposit and bonus to make the bonus balance withdrawable. Time limits and T&Cs apply. It’s rare for the accolade of ‘game changer’ to be thrown around in the online betting industry, but Bet365 stands up as a flag bearer in the world of sports betting online, introducing features like cash out and live streaming before many of its competitors. Has the brand followed up its good work in sports betting here? 100% Welcome Bonus up to C$100 + 200 Extra Spins! Mr Green is a company known for the slightly off-kilter sense of humor that pervades their advertising. That light marketing touch does not mean the casino and games are anything less than stellar, however, as the site boasts top-of-the-line gaming! 10 Extra Spins + Choose Your Winning Bonus! Following a recent full-site revamp, Casino Room is poised to skyrocket to the top of the online casino industry in Canada. Thanks to some stellar slot provider partnerships and almost 300 titles on offer, Casino Room has all the tools to ultimately be the best online casino Canadian players can enjoy! The game has a stunning Chinese-inspired backdrop, highlighted by epic landscape renditions, and a tinkling soundtrack to match, featuring calming melodies along with exciting beat drops. 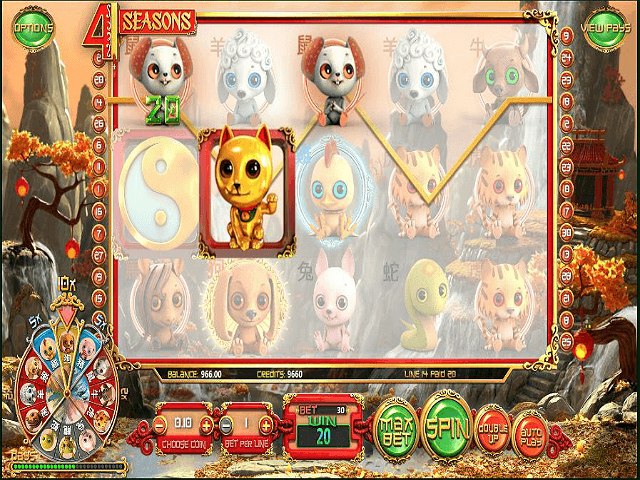 4 Seasons online slot game is all about the 12 signs of the Chinese zodiac, represented by their 12 animals: tiger, rabbit, rat, ox, dragon, goat, snake, rooster, horse, dog and pig. Look out for the golden animal, as this is the high value symbol that can really pull the wins in for any player (the golden animal is identified during gameplay). Players can spin the reels from just $0.60 per spin, with the maximum bet at $150 per spin. The average return to the player, better known as RTP, is a staggering 96%, with a top jackpot prize of 750,000 coins. Thankfully, 4 Seasons is offered at most of the top online slots sites so players shouldn't have trouble finding it! Keep an eye out for the golden Maneki Neko cat – this is the Wild symbol that can claw in those payouts. This symbol will substitute for all other symbols bar the Scatter. 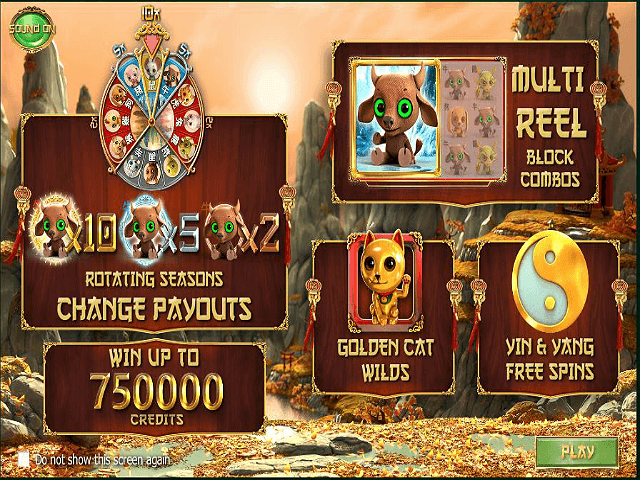 The golden cat symbol is also the jackpot symbol, which could land you a 10,000 coin payout when five of the Wilds appear on a payline. The Yin Yang icon acts as the Scatter symbol, which is how you’ll trigger the Free Spins bonus feature that'll rain down rewards. 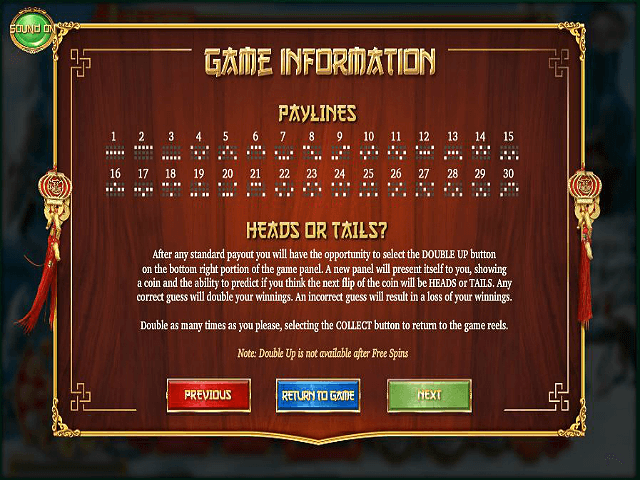 The 4 Seasons slot interface also has a Double Up button, which allows you to risk your winnings in a double or nothing game by picking heads or tails in a coin flip. The seasons change and the calendar progresses as you spin the reels, a new animal will become gold and that will act as the Multiplier until the calendar changes again. The season will change after every 90 spins. When it comes to 4 Seasons slot and its specials, Multipliers are the name of the game. The Seasonal Wheel in the corner of the slot grid will rotate every 30 spins to a new animal, which is worth a massive 10x Multiplier when you land it in a winning combo. You’ll also enjoy a 5x Multiplier for the animal on each side and a 2x Multiplier for the ones next to those. There's also a block win feature, where the animal symbols can appear stacked on the reels. If you land enough to create a block win combo covering an entire reel, then you’ll bring in extra wins. Just two reels are needed to create a block with extra Multipliers automatically applied for even bigger payouts. A three-reel block will get a 3x Multiplier, while a four-reel block gets a 4x Multiplier and so on. Hit three or more Yin Yang Scatter symbols and you’ll trigger the main bonus round, which could lead to some desirable payouts. There are up to 20 Free Spins to hit if you land five Scatters and eight Free Spins for landing three Scatters. The Free Spins can be re-triggered for further payouts to boot. It’s always the season for winning with the 4 Seasons slot! If you like 4 Seasons - You'll like these slots too!